SIMCOM 2019 is an opportunity to educate, coordinate and test mobile emergency communication platform capabilities from federal, state, tribal, local jurisdictions and amateur radio communicators. Join us and exercise your mobile communications assets and capabilities, develop relationships with served agency partners and understand their capabilities. Better to meet and get to know them now before we have to meet them in an emergency. Registration for SIMCOM2019 is now open. Go to https://www.regonline.com/simcomvc2019. "Welcome to the Wisconsin ARES/RACES website. I am honored by the opportunity to lead this dedicated group of amateur radio volunteers. Please explore our web site, the means by which we tell our story of service to various public and private agencies and ultimately to our communities. Come back often." We now have a NEW SEC in Wisconsin ARES/RACES! Please welcome Kyle Schaefer, KC9SDK, to his new position in Wisconsin ARES/RACES. And a thank you should also go out to Mark Rasmussen, N9MEA, For his service to our organization. Amateur Radio Emergency Service Transitioning to New Online Reporting System 02/20/2018 The Amateur Radio Emergency Service (ARES) will phase out the traditional ARES report forms later this year in favor of an online system called ARES Connect, a volunteer management, communications, and reporting system. For more information on ARES Connect, go to the ARRL website. 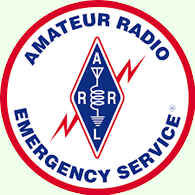 The Wisconsin ARES/RACES SE District is providing an opportunity for all licensed amateur radio operators to receive instruction for FEMA ICS courses 100, 700, 200, and 800. These courses are required for basic and advanced certification and credentialing for Wisconsin ARES/RACES. Please welcome Nick Proulx, KC9YLK. His introduction is posted here! Joshua Roskos, KC9WWH, has accepted the position of WC DEC. His letter of introduction is posted here. Here is a way for all of us to help support WeComm, who has been helping to support our role for many years. If you use Amazon.com to make any of your on-line purchases, consider using Amazon Smile (http://goo.gl/qTnEfs) instead. It is the same old Amazon that you are used to except this link will allow .5% of your purchase to be donated back to WeComm. It doesn't cost you anything to use this. You can buy anything at Amazon Smile that you can purchase at the regular Amazon site. The link provided above will take you to an Amazon Smile login screen that is basically the same as the login for Amazon except that it automatically selects WeComm as the recipient of the donation. Thanks to WeComm and I hope that the Amateur community can help out WeComm as much as they have helped us. Do you have questions about location and frequencies of the equipment on the WeComm Network, take a look! The WI ARES/RACES WinLink Net meets every Tuesday during the 24-hour window of 0000-2400, local time. Check ins accepted by sending a Winlink message with call, first name, city and county to net control operator Jim , KB9MMC. All check ins are acknowledged. This net lets stations do a weekly check on their sending and receiving capabilities, and a complete list of all check ins for the week are is to everyone who checks in on Wednesday. A reminder of the net is sent each Monday morning. Short exercises or queries are sent about once a month with the reminder. Info bulletins or queries are sent anytime. All WinLink digital operators are welcome, there is no need to be a member of WI ARES/RACES. I've recently picked up the extra duty of ASEC for Training. One of the things I'll do is publish a Training Bulletin every few weeks. There is a new link in the menu for these bulletins. I've posted TB#1 and TB#2. WI ARES/RACES gets a nice mention from the Deparment of Military afairs. Read the article here! At this years conference we paid tribute to Don Michalski W9IXG and his leadership role in Wisconsin ARES/RACES. Don Michalski was our Section Manager from 1999 – 2015. Don’s dedication and commitment to public service helped provide a strong foundation for Wisconsin ARES/RACES. That is why it was unanimous to permanently change the Wisconsin ARES/RACES Senior Leadership Award, to the Don Michalski Leadership Award. We are honored that Don’s family could attend and present the award. Don might be gone but we know that his legacy and hard work will continue-on. Click here to learn more about our new Section Manager. Are you a Traffic Handler? We are adding lots of Tips and Resources for the Traffic People out there. Go to the menu and look under "Training" or you can click here! Skip Sharpe, W9REL, has forwarded a new version of the "Abbreviated Incident Action Plan" Please review here or by going to the vertical menu on the left under "Governing Docs". It is also available on the menu at the bottom of this page. The Wisconsin ARES/RACES Conference Committee would also like to thank the following for their generous donation of certificates and door prizes: ARRL, N3FJP, Buckmaster International, CQ Communications, RT Systems, Family of W9IXG, Cable X-perts, Unified Microsystems, Ham Radio Outlet (HRO), KB9VBR Antennas, West Mountain Radio, Tigertronics, Yaesu.